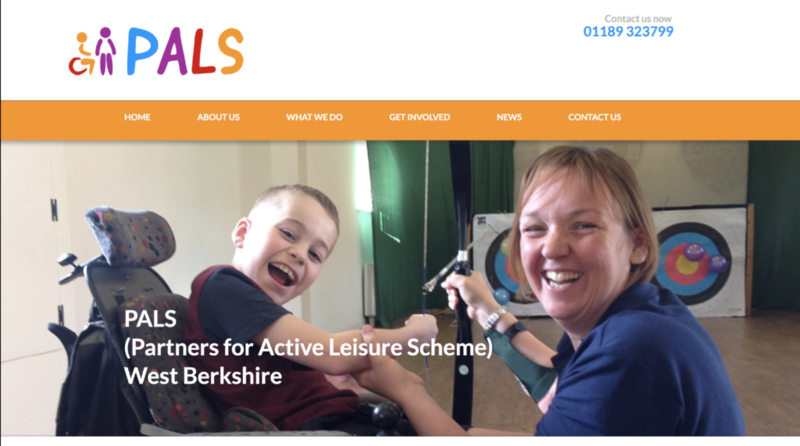 PALS, or ’Partners for Active Leisure Scheme’ is a local charity based in Englefield, Berkshire. They provide leisure and recreational activities for children and adolescents aged 5–25 with physical disabilities. This helps the children achieve things, gain confidence and achieve their potential, and it helps the entire family to get a break from the full-time job of caring for a child with a disability. The current logo for PALS, which has been in use for 20 years. In the occasion of the 20th anniversary, PALS wanted a new logo. Partly because their current logo feels out-of-date and has been in use for such a long time. The main reason for the change was the footmark in the original logo, paired with the tagline ‘Every step an achievement’. As Helen Randall, the manager of PALS, pointed out, this is very inappropriate as many of the children they help are not able to walk. Through discussions with the client we decided the logo should feel more modern, use illustrations to show what the organisation does, use the colours white, yellow and orange and potentially show themes of friendship. The logo should appeal to children, the older end of the 5–25 age gap and their parents. When doing research, the logos of the main competitors for PALS were considered. Many competitors use a rainbow of colours in their logos, similar to that of PALS. Some use fewer, but still bright, colours. Various graphic elements are used, such as simple illustrations, stick figures and pictorial typography. The new PALS logo should look like it belongs among these groups of logos, as they are often put together on leaflets and brochures. However, it should sufficiently stand out and draw attention. Different styles were discussed with the client, such as using bright colours and an icon with a hand-drawn feel. However, the logo had to be fit to be stitched on shirts and therefore needed simple shapes. As the client desired to show the organisation through the logo, ideas of using wheelchairs and walkers were brought up early. 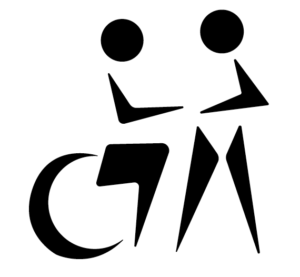 Especially in terms of a wheelchair icon, it should be similar enough to the conventional icon for person in wheelchair, but look different enough to be representative of PALS and recognisable. ‘It’s a great start, but I think the committee felt we should keep “PALS” clear of any pictures as such and that the new logo needs to be either underneath or by “PALS” and not within it if that makes sense’. This idea was therefore scrapped, and I started developing ideas for an icon to go along with the lettering instead. 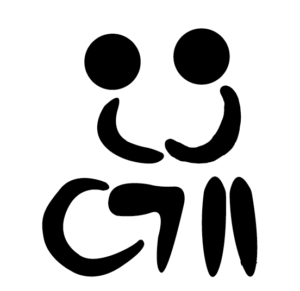 Different approaches to this icon were developed, with or without a person sitting in the wheelchair. Many ideas to simplify this icon, yet have it remain recognisable, without being too cliché were explored. I decided to go forth with the person sitting in the wheelchair, as the organisation is about he people, not their equipment. 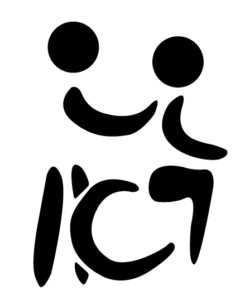 I developed icons of a person in a wheelchair interactive with a physically abled person to symbolise the friendship and interaction between people. Different styles were tested, such as angular shapes or rounded shapes. The general reception to these designs at the Real Job meetings favoured the rounded shapes. After deciding on the icon, different pairings with typefaces and hand-lettering were explored. The lettering could either seamlessly blend in with the icon to make it look as if one, or contrast could be created with the use of a sans serif typeface. I developed different versions exploring possibilities to get more feedback from my client. ‘I really like the new designs. I think the ions are great. We need to have a font which is easy to read’. As I was waiting for more feedback from the board of trustees I considered the icon as more or less ready to go. When I eventually received feedback 3 months later, it felt as if too many people were disagreeing with where the direction of the logo was headed. Though we established in our first client meeting that the logo should be completely updated, complete with a new colour scheme and lettering, the board was now pushing for the same colour scheme as in the current logo. They also had comments about the icon that essentially meant the entire logo had to be re-thought. Icons created to develop final logo. At this stage I developed three icons based on the work I already had: a person in a wheelchair, a person with a walker and a physically abled person standing up. These were configured in different combinations, paired with different rounded sans serif typefaces and sent to the client. Though generally met with positive feedback, they also wanted me to use the typeface from their previous (Comic Sans). I was finally able to schedule a client meeting where I could negotiate different typefaces that would have a similar look and feel to Comic Sans, without the negative connotations of that typeface. A colour palette that was similar to their current one but slightly more harmonious was also agreed upon. Through reasoning of logic and gestalt-theories, we were able to agree upon the best organization of the icons and lettering within the logo. By the end of this client meeting we had decided on the finished logo. The final stage of the process was to create brand guidelines. As my only deliverable was a logo, and the applications of the logo were not agreed upon, a few examples were included in the guidelines such as website, flyer and social media applications. A main logo and a social media logo were then supplied to the client along with the brand guidelines by the end of the day. The main obstacle in the design process was lack of communication with the client, and only one contact person. As months would go by without getting feedback or information from my client, I was left to my own devices. Though I suggested client meetings, these were ignored. However, I should have been more proactive in reaching out to my client, such as calling multiple times and leaving voice messages. The difficulties from no client contact for months could have been decreased if I actively pursued contact more than I did. Another difficulty was how I only had contact with the manager of PALS, who also responded to a board of trustees. However, I had no contact with this board and my designs were passed through the manager to the board. This way, I had no opportunities to explain my designs and reason my decisions. If I were to do this project again, I would be more proactive to meet the board of trustees and present my designs to them directly. Though several times in the design process the work took a different creative direction than I would have wanted personally, I tried my best to please the client while also delivering quality work in the end. Though the finished logo is not the one I would have chosen, I am happy I found a solution the client was liked. Of the final proposed logo, this is the one I believe to be the most visually balanced and harmonious. Given the choice, this is the one I would have picked for the company. and I hope they find good use for the new logo.